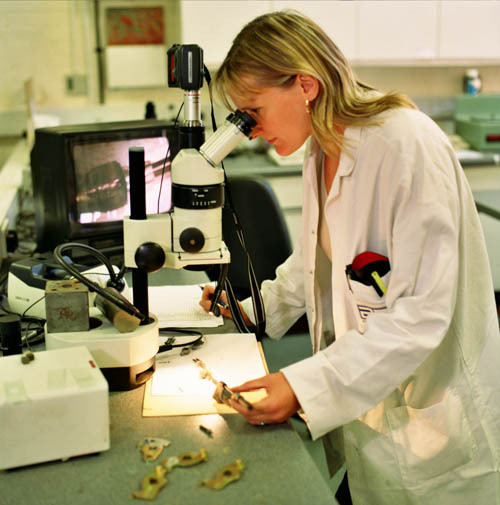 For more information on our Laboratory Services, please send an email to Mike Jones, or telephone us on 01926 473697. 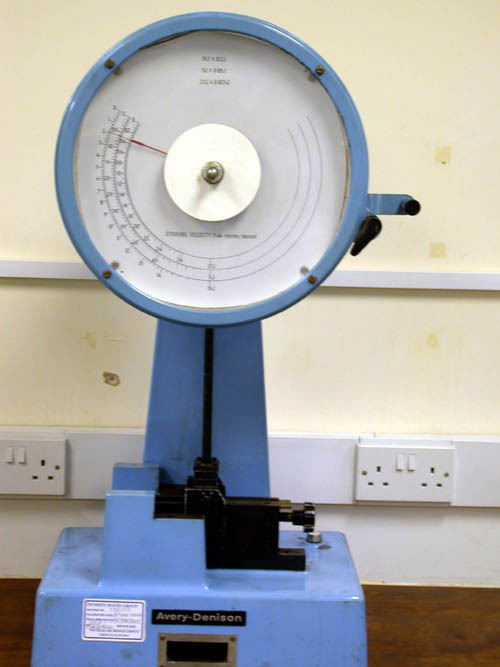 The laboratory boasts a wide array of both destructive and non-destructive testing equipment. 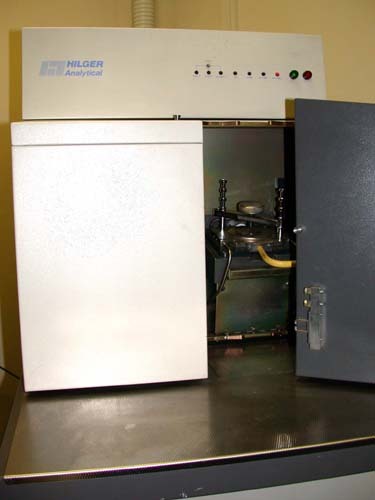 Elemental analysis can be performed using a HILGER Analytical E982C MkII computerized optical emission spectrometer, giving direct reading chemical analysis for a wide range of steels, cast irons, aluminium alloys, brasses and bronzes. 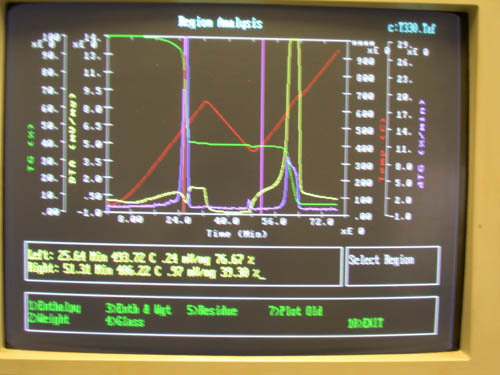 Materials unsuitable for optical emission spectrometry can be analysed using a fully computerised VARIAN 220 Fast Sequential Atomic Absorption Spectrometer with SIPS control, for which a comprehensive range of hollow cathode lamps are available. 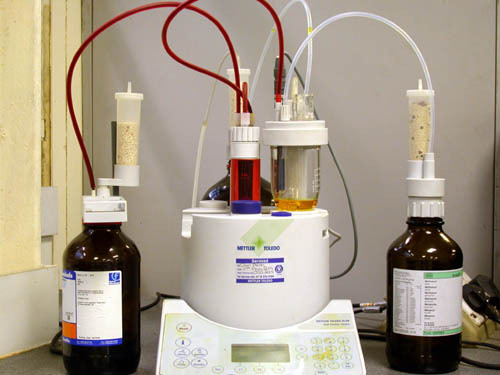 This technique lends itself to trace metal analysis in fields as diverse as plating shop effluents to contamination in environmental samples. 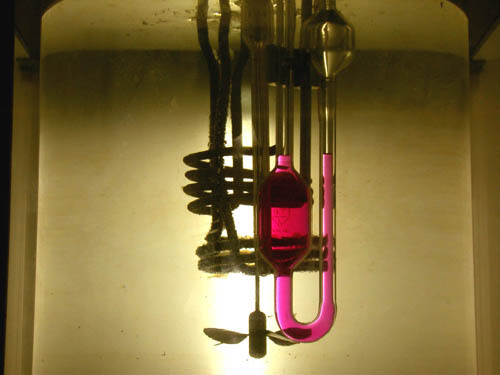 Classical wet methods are available for single element determinations. 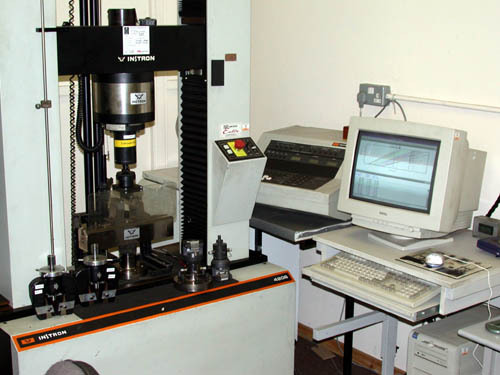 Tensile and compressive testing can be performed using a computerised INSTRON 4206 Series IX, programmable to a wide range of requirements and for which 5kN, 30kN and 150kN load cells are available. For non-metallic materials an extensive range of strength, shear, tear, flexural and compression methods are routinely employed. Neutral salt spray to ASTM B117, BSAU148 Part2 and DIN50021. Humidity running primarily to BS3900 F2 or programmable to suit customer requirement. Cyclic corrosion testing fully programmable combining salt spray, humidity (constant or cycling), dry heat and air drying. The test cabinet may be programmed to include the current specifications of any major manufacturers, e.g. Ford, Nissan, Rover, Honda etc. 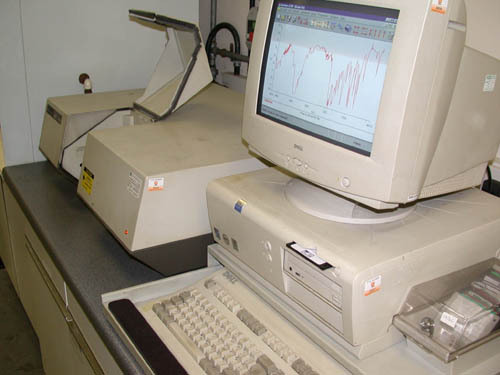 Infra Red analysis of rubber, plastic, oil, grease, and brake fluid is carried out using a PERKIN ELMER 16PC FTIR with library and search facility. Process oil, polymer, carbon black and filler content of rubber. Polymer and filler content and melting point of plastics. Oil and filler content of greases. Microscopic examination Photomicrography, polarised-light microscopy using WILD M3Z stereoscopic zoom, METALLUX 3 and LEITZ WETZLER inverted microscopes. Impact testing AVERY DENISON 6709U impact tester with maximum capacity of 15 joules. Steels BS3111, 637M17, 431S29, 655M13, 635M15, 665M17, 655M13, 70KD, SAE8620, SAE4037, SAE302, FR10, 815M17, 080M50, 080A42, 045M10, 605A37, 302S31, 817M40, 708M40, 070M55, 080M30, 080M15, 080M40, 040A10, 220M07, 230M07 etc. Aluminium DTD424, 2618-HF16, 6082-HE30,2014A-HE15,1050A, LM4, LM6, LM24, LM25, AA6262 etc. Hollow cathode lamps Aluminium, Boron, Barium, Beryllium, Calcium, Cobalt, Chromium, Copper, Iron, Potassium, Molybdenum, Magnesium, Lead, Tin, Lithium, Vanadium, Zinc, Nickel etc. Metal Tensile, compression, push-out load, etc. Rubber Tensile, tear (crescent, angle, trouser), etc. Plastic Polymer and filler content, melting point, etc. Water content between 0.01% and 100% is possible. WILD M3Z stereoscopic zoom microscope with digital imaging facility. 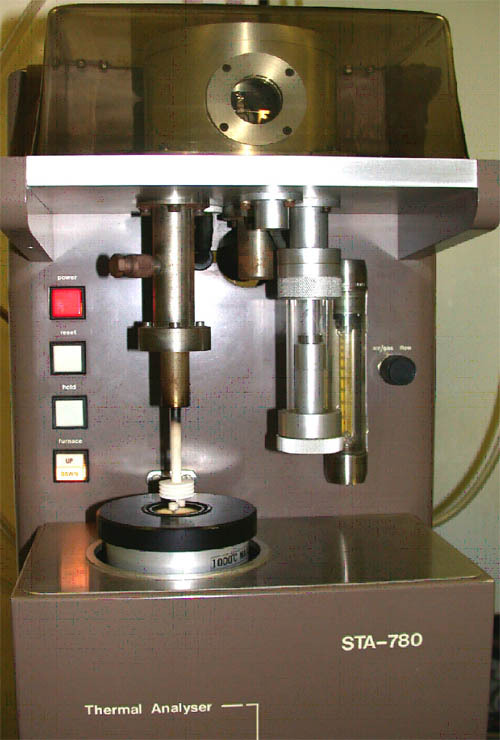 Viscometers allowing kinematic viscosity measurements from 1.5cSt to 15000cSt are available.